Helping kids with homework? These are the homework mistakes you should avoid! 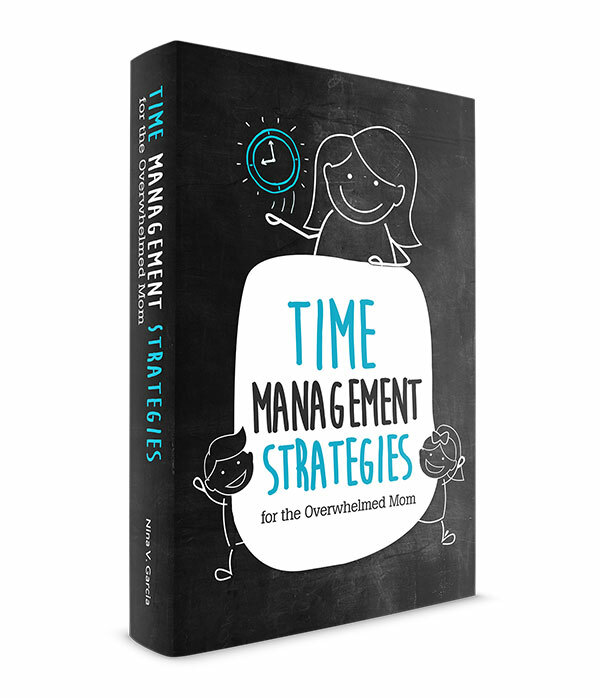 Learn what to do instead to get the most out of homework time with your child. Many of us dread homework time and the ensuing frustration it can bring. We wonder if homework is worth the time. Or if kids are using its potential effectively. We all want homework time to be as productive and smooth as possible. 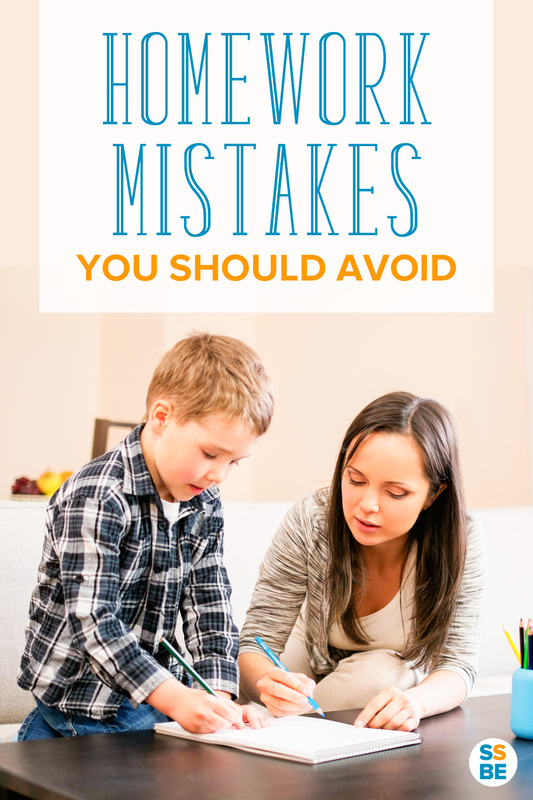 See if you can spot these six mistakes parents might be making during homework time. All this time, I would walk my son through each homework question step-by-step. For instance, with math problems, I’d help him count fingers to get to the right answer. And we’d do this for every question so that by the time we’re finished, all the answers were 100% correct. Now imagine you’re his teacher. You see a math worksheet with all correct answers. No eraser marks, no signs of effort, no pattern of wrong answers. Other than your child’s handwriting, the homework could look like any adult did it. You could see why his teacher doesn’t have a gauge for how he’s doing. She won’t know whether he understood the homework or struggled to plow through them. Guiding your child through the first few problems, then letting him try the rest on his own. Not correcting his mistakes and leaving the answer wrong. Your child’s teacher can then see which skills need improving and from which ones your child can move on. The time your child does homework can make the difference between a job well done and one that isn’t. For instance, doing homework in a loud room will distract and prevent her from focusing. If siblings are being loud or the television is on, find a better alternative. Or maybe your child feels tired or hungry. These conditions make it difficult for her to concentrate. Still yet, maybe your child is in too playful of a mood. Her silliness keeps her from staying focused at the tasks. You’re better off postponing homework until the right time. Just as your child has a bed for sleep, so should he have a place for homework and studying. Writing is much easier to do sitting at a table rather than sprawled on the floor. And having a consistent station will make him feel proud of his work and know where to go to get it done. Whether it’s a desk, a little table or a nook (affiliate link), create a space that encourages homework time. And stock your home with homework essentials. We’ve had to improvise a few times because the homework required materials we didn’t have on hand. Now we know to stock up on the basics: pencils, crayons, scissors, glue and erasers. Homework is nothing more than further practice. A chance to keep learning and refresh what you just learned. And how we phrase homework can make all the difference in our kids’ attitudes about it. For instance, saying “Do your homework now so you can get it out of the way” paints it as a boring task to get through. What if instead you addressed homework as something that’s necessary but also beneficial? Maybe it can even be something you bond over with and work together on. Consider how much time it takes compared to the other parts of your life. Has your busy schedule made it feel impossible to squeeze it in? Consider reducing your child’s activities. And if the workload is just too much, then it’s time to address your child’s teacher. A good rule of thumb is 10 minutes of homework per day per grade year. So if she’s in second grade, she should do about 20 minutes of homework and no more. A senior in high school can roughly do two hours’ worth. Homework is a love/hate relationship for many parents. On one hand, we know it’s important. But on the other, it’s also the source of so much stress. The troubles don’t seem to end. Maybe your child isn’t taking homework seriously. Or you don’t get how kids do homework these days compared to your school days. Or you think he should know the answers by now. But watch how you react. Getting frustrated at your child doesn’t solve anything. Homework continues to drag and both of you are spiraling downward. Instead, put things in perspective. Maybe do homework another time when he isn’t so tired. Or take a break and let another adult take over. Losing your patience makes it difficult for him to see homework as rewarding or reap its benefits. So far, doing homework has been a pleasant experience for me and my child. We treat it as the time we bond together in the evenings. We’ve found a quiet time when his brothers are already asleep and the house is quiet. He has a special table we always do homework on. And I do my best not to get frustrated (though can’t say I have a perfect record!). Homework isn’t the dreaded parent-child battle but the time we enjoy each other’s company. Even while reviewing addition. What are your biggest homework challenges? What are some of your general homework mistakes? The timing is so important! We don’t have homework.. yet.. but the time right after school is the worst. Both kids are cranky and hungry and tired. There’s a glorious middle time between that and dinner, though. I’m a bit nervous for homework to start. We haven’t tried doing homework right after school either. That’s usually settle in time where they get to do the things they’ve missed since they were in school. So snacks, tinkering and playing. Good point on making homework time enjoyable for everyone and finding a designated place to do it. Guess we’ll have to hit-up IKEA! We don’t have any homework yet for kindergarten, but it’s just around the corner, right? We’re so rushed in the evenings with chill time, dinner time, bath time, bed time, I can’t imagine squeezing homework in there! Thanks Deborah! Have a great weekend too. These are great tips! When T first started Kindergarten last year, I would help her out with most of the homework. By the end of the year, I was letting her do it all herself and would simply ask if everything ‘looked right’ (e.g. no transposed numbers or poor handwriting). We also had to learn to keep the television off. Distractions are just not helpful at all! Sounds awesome, Leslie! Yeah we can’t have the television or any other distractions on when he’s doing work. These are the perfect tips, thank you for sharing. If these are followed there will be a better focus and less stress.